Making cosmetics, skin care products and makeup is not only profitable, it’s also a creative and enjoyable business pursuit. The article below provides an overview into the basic formulary for making facial skin care products. With the AustraLab program, you don’t need to understand the chemistry of making creams and lotions. I’ve done all the hard work for you – the formulations have already been tested for efficacy and ease of manufacturing. Discover how to start your own business making cosmetics, skin care and makeup. The human body is protected by its layer of surrounding skin. The entry of radiations, bacteria, fungi and water is controlled by the dead outer layer of the skin. The skin also absorbs oxygen, eliminates waste, secretes protective lubricants, grows hair, and manufactures new skin cells at a furious rate. No simple organism could do all this. The layer of dead corneal cells does not feel rough because it is coated with an oily liquid secreted by underlying sebaceous glands and by moisture from sweat glands. This film coats the scales, smoothing and sealing them. The fatty secretions and sweat combine to create an “acid mantle” of of pH 4-6 on the skin. This mantle – or film – keeps the skin’s surface supple and regulates the moisture content of the deeper, as well as the outer, skin strata. Most dermatologists believe that the mantle also inhibits the growth of bacteria and fungi on the skin’s surface, most of which flourish at higher pH (6.0 to 7.5) and moisture levels than those of the corneal layer. This may explain why people whose skin cannot maintain normal pH and moisture ranges are prone to skin problems. As the body ages, its functions change and its needs alter. Some cosmetics can meet the skin’s changing needs and cover aging effects. In no case do they “cure” aging. In older age, the output of sebum from the sebaceous glands drops and the skin dries out more readily. The skin becomes flaky and itchy, particularly on the lower legs. Household cleaning products, which can strip sebum from the skin, can cause a similar condition in younger people. Furthermore, since many household cleaners are alkaline, they can swell and damage the keratin of the corneal cells. Wrinkles are another change. Wrinkles occur when the connections between the epidermis and dermis loosen. No known cosmetic can eliminate wrinkles by filling them in or by swelling, or oiling the skin. Most cosmetics fall into two categories: those with a purely decorative effect; and those which have subsurface effect. 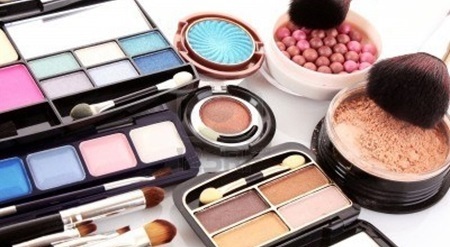 The decorative cosmetics, such as eye makeup, facial makeup, and fragrances, should affect only the surface of the skin. A good product should not irritate or sensitize the skin, or cause infections, or harm the health of the user in any other way. On the other hand, no special benefits to the skin can be expected from even the best of decorative skin cosmetics. Cosmetics with a subsurface effect, such as tonics and astringents, moisturizers and cleansers, are usually intended to alleviate or change some skin condition. 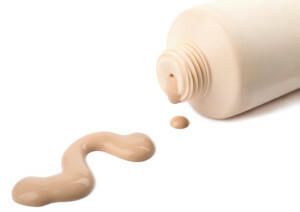 In the context of cosmetics, the term “cream” usually signifies a solid or semi-solid emulsion. It is also apply to non-aqueous products such as wax-solvent-based mascaras, liquid eyeshadows and ointments. Traditionally, cosmetic creams have been marketed and sold on the basis of their “function”. Thus, customers have come to learn what type of emulsion they can expect from a jar marked “cold cream” or “night cream”. The customer, therefore, is likely to make their own judgment on the basis of subjective features, using the manufacturer’s functional labels as a guide to end-use and quality. Regular cleansing removes grime, sebum, and other secretions and keeps skin healthy. Water is a very inexpensive and effective cleansing agent for certain types of facial soil but fails to remove oils. By the process of emulsification, soaps and other detergents are able to improve the cleansing properties of water dramatically. However, this combination suffers from disadvantages: it is inconvenient to use outside the bathroom, and it may remove too much oil from the surface, leaving the skin feeling dry and rough. The alkalinity of soap, may cause the outermost cells to lift and separate from their neighbors. Cleansing creams and lotions can, by a combination of water and the solvent action of oils, effect the cleaning of the skin surface efficiently and pleasantly. Moreover, if they are properly formulated they can accomplish this without completely degreasing the skin (indeed, by leaving behind a very thin emollient layer of clean oil, they may give a healthy, supple feel to the skin surface). A cleansing cream or lotion is spread onto the skin, using the fingertips, and massaged onto the surface. This action serves to loosen and suspend the grime and soil in the emulsion. A subsequent wipe with a tissue or cotton wool pad removes the majority of the applied cleansing emulsion, and with it the skin soil, grime or makeup. The cream should have a medium-to-high percentage oil phase and be easily spreadable, should not “rub in” and should not irritate the skin. In addition, if it can leave a residual emollient film on the skin, so much the better. Today, beeswax-borax emotions are still popular and commercially viable, although the development of secondary or alternative emulsifiers has enabled the formulator to produce a wider range of emulsions around the beeswax-borax theme. Beeswax itself suffers from two disadvantages as an ingredient in skin creams. It has a distinctive smell which usually has to be masked the final product. The beeswax odor is not unpleasant, but it is not compatible with the sophisticated skincare image which many manufacturers now build into their products. 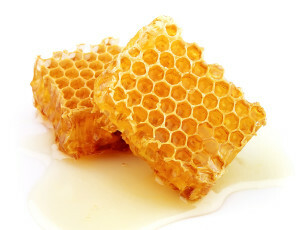 Nevertheless, the qualities of neutralised beeswax as an emulsifier are such that it will continue to be used in cleansing and cold creams for the foreseeable future. The sodium salts of wax acids are formed when borax solution is mixed with molten beeswax at the oil water interface. A stable and textured cream is obtained using borax quantity less than the theoretical value, that is 5-6%. The amount of borax-neutralized beeswax in a cold cream can vary from 5-16%. The lower levels produce softer creams which can be stiffened if required by incorporating other waxes. Alternatives to waxes as thickeners for a continuous oil phase are bentones (quaternary rectorates and related chemical species). It is a peculiarity of the beeswax-borax system that both water-in-oil and oil-in-water creams may be produced without the aid of secondary emulsifiers. The ratio of oil to water, the proportion of the beeswax that is saponified, the constituents of the cream (which will affect the HLB requirement) and the temperature have influence on the type of emulsion. It has been found that preparation at high temperature tends to produce cold creams of the water-in-oil type, and phase inversion may occur during processing. Phase inversion also occurs on the skin when an oil-in-water emulsion is spread onto the skin surface and the water phase begins to evaporate. Non-ionic emulsifiers like sorbitan fatty acid esters can be used to increase flexibility and stability to the emulsion. 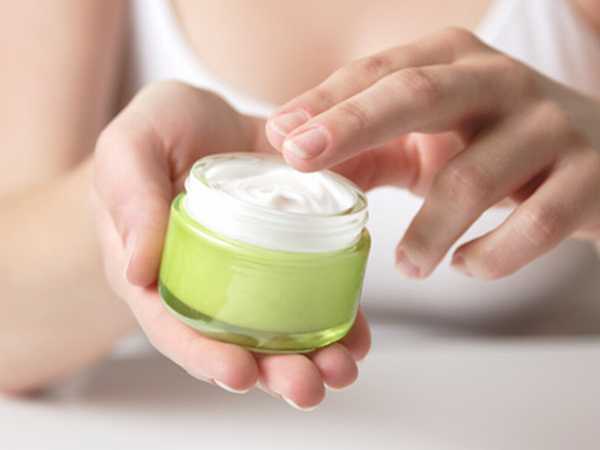 If required, the external phase of oil-in-water cleansing creams may be thickened by the use of cellulose derivative alginates and other hydrocolloids. 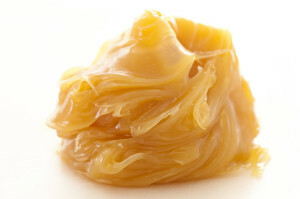 A number of beeswax derivatives are manufactured with modified emulsifier properties, for example, a range of ethoxylated beeswax derivatives available with HLB ranges values ranging from 5 to 9. Although they still have the beeswax odor, it is claimed the creams made from them are softer, liquefied readily, allow the incorporation of larger amounts of water, and neutral and are stable at 50° C.
Night creams are designed to be left on the skin for several hours or to remain mobile on the skin even after vigorous rubbing. They are composed with a substantial oil phase which will spread easily without disappearing but also without rubbing off onto clothing or bed linen in use. Such creams tend to be high-oil-content, water-in-oil, soft solid or viscous liquid creams. A moisturising effect is resulted due to the formation of the occlusive layer on the skin surface thereby reducing the rate of trans-epidermal water loss. Hence, the skin surface feels smooth by lubricating action and allowing any “saw tooth” cells in the outer layer of the stratum corneum to be smoothed down. Massage has a valuable part to play in skin care. It is well known that vigorous rubbing of the skin helps to prevent the buildup of excessive numbers of dead surface cells and keeps the epidermal blood supply in good condition. The term “moisturising” has also been applied to water-in-oil creams of this type. The recent research has broadened the concept of moisturising from the simple occlusive skin barrier principle. Many night moisturising creams are comparatively light and easy to rub in compared with those of the overnight and massage types, although there still remains a market for the heavier moisturising creams. It has been found that fat-soluble as well as water-soluble vitamins are capable of being taken up through the skin. The use of stabilized vitamins in cosmetic preparations for external application is justified. Pantothenic acid, is a part of the water-soluble vitamin B complex. Its precursor and the related materials – panthenol, pantethine and pangamic acid have all been quoted as having a beneficial action on the skin and being useful in skin and/or hair preparations. Although there is no certain proof that they penetrate the skin and reach the location where they might exert an influence, vitamin B complex, panthenol and vitamin B6 (pyridoxine) are used in some cosmetics. Vitamin D, like vitamin A, is oil-soluble and is essential for skin health, but deficiencies are best corrected by oral administration to achieve a systemic effect. However, vitamins D2 and D3 (calciferol) are used, sometimes in conjunction with vitamin A. A mixture of vitamins A, E and D3 has been claimed to be synergistic. Vitamin E is said to enhance percutaneous resorption, and vitamin H is claimed to help fat and cholesterol synthesis. Other vitamins having some using topical preparations include the so-called vitamin F, now known as essential (unsaturated) fatty acids (EFA). The predominant oil phase constituents in massage and night creams are petrolatum, mineral oil, lanolin and low-melting-point waxes such as beeswax and low melting waxes (ceresins and paraffins). Esters such as isopropyl palmitate, isopropyl myristate and purcellin oil are reserved for lighter “vanishing cream” types of product. As the term “vanishing” implies, creams and lotions falling within this category are designed to spread easily and seem to disappear rapidly when they are rubbed into the skin. Of all the beneficial properties claimed for cosmetic creams, “moisturising” is possibly the most widely used. What is the only material which will plasticize the outer dead layers of the epidermis to give the much desired attribute we call “soft smooth skin”, hence the term moisturiser. If water is lost more rapidly from the stratum corneum than receiving from epidermis, the skin dehydrates. Hence it loses flexibility which cannot be restored by the oil alone. Dry skin is of two types: 1. It is due to prolonged exposure to low humidity and air movement, which modifies the normal hydration gradient of the stratum corneum; and 2. it is due to aging, continual degreasing. Aging occurs due to the influence of ultraviolet rays. The dry skin is hydrated using three different routes – occlusion, humectancy, and restoration of deficient materials – which may be (and often are) combined. Occlusion reduces the rate of trans-epidermal water loss through old or damaged skin or in protecting otherwise healthy skin from the effect of a severely drying environment. It instantly decreases the rate of water loss through the epidermis. This results in the stratum cornea to become more hydrated, making it softer and more supple. However, this extra hydration increases the diffusion coefficient of water across the epidermis. After application of a substance like petroleum jelly, within three hours the rate of water loss actually increases to a value higher than the pre-treatment value. (This of course, in no way detracts from the usefulness of this approach to moisturisation, since it achieves the desired hydration of the stratum corneum.) Examples of occlusive are: mineral and vegetable oils, lanolin and silicones. Their effect is increased by the use of mixtures of lipids and other fatty chemicals which have been designed to imitate the composition of the skin’s natural oily secretions. More recently, skin substantive barrier materials (mainly based on quaternary ammonium complexes) have become available which seem to be able to influence the rate of trans-epidermal water loss without putting an inclusive or greasy barrier on the skin surface. These materials can be shown to be substantive to skin (and hair) and act not only as moisturisers, but as emollients and skin conditioning agents. Examples are quaternium, a hydroxyethyl-cellulose derivative. A second approach to the moisturising problem is the use of humectants to attract water from the atmosphere, so supplementing the skin’s water content. Although popular in use, such a concept is, to say the least, somewhat doubtful from the physiological viewpoint. It is after all, easy to demonstrate that externally applied water will not increase the flexibility of the stratum corneum. In fact, it can have precisely the opposite effect. 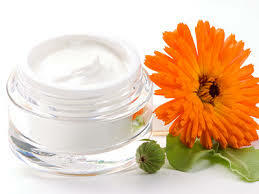 The humectants mostly frequently used as moisturisers are glycerol, ethylene glycol, propylene glycol and sorbitol. They can be used alone or in a mixture at various levels. Whether or not they penetrate the skin surface is a moot point, but at least they will attract moisture to the skin. The moisturisation of the skin is to determine the precise mechanism of the natural moisturisation process, to assess what has gone wrong with it in the case of dry skin and to replace any materials in which such research has shown damaged skin to be deficient. Every liquid, semi-solid or low-melting-point solid of a bland nature and cosmetic quality has been used as an emollient. Among the most popular water-soluble emollients are glycerine, sorbitol, propylene glycol, and various ethoxylated derivatives of lipids. Oil-soluble emollients include hydrocarbon oils and waxes, silicone gels, vegetable oils and fats, alkyl esters, fatty acids and alcohols, together with ethers of fatty alcohols (including polyhydric alcohols). The choice is determined by personal preference, data on potential skin irritation, the degree of “greasiness” and apparent residual film on the skin, cost and availability. Mineral oils and silicone oils do not “disappear” from the skin very readily when used in any quantity and are therefore useful in cleansing and night creams. Properlene glycol is an efficient preservative against certain micro-organisms at concentrations of more than 8%, but it is a potential sensitizer. The alkyl esters represent a range of interesting emollients ranging, as they do, through lactates, oleates, myristates, adipates, linoleates with the possibility of straight-chained, branch-chained, unsaturated, or saturated precursors. Some are almost water-thin liquids which rub quickly into the skin (decal and isodecyl oleates, isopropyl myristate), and others are waxy solids which melt near body temperature and give “body” to creams. Lanolin was once considered to be an extremely desirable emollient and the claim “contains lanolin” was felt to be a product “plus”. In order to achieve their rapid “rub-in” effect, vanishing creams are composed in the oil phase. A lower percentage of oil phase is usually chosen of emollient esters which leave apparent film on the skin. Foundation creams process many of the same properties. These creams are for daytime use to protect and “condition” the cleansed skin. They must therefore leave the skin nongreasy and preferably matte so that other makeup can easily be applied over it. Modern foundation creams are of excellent appearance and stability. They contain emollients and moisturizers. Sunscreen agents help to protect the consumer’s skin from the harmful, aging effects of shortwave solar radiation. Pigmented foundation creams can contain from 3 – 25% of pigments. Those with between 3 and 10% form a suitable substrate for the use for the subsequent use of powder, whereas those with higher pigment concentrations can be used as complete makeup and are often termed powder creams. They can be water-continuous or oil-continuous systems in liquid or solid form. The difficulties encountered in the preparations are: 1. The preferential absorption of emulsifier in the high surface of the pigment may sometimes cause inversion of the emulsion; 2. The inadequate dispersion of the pigment for reproducible colors. Pigments can be suspended by the use of cellulose derivatives or inorganic silicates such as bentonite or hydrated magnesium silicate.